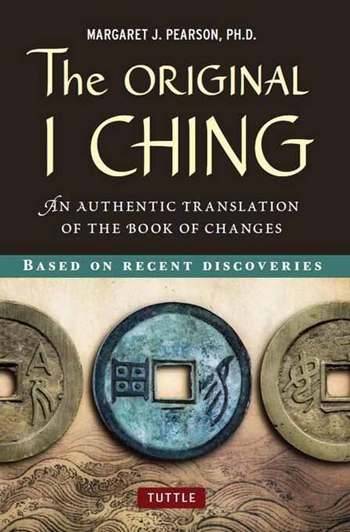 Last fall, a new translation of the classic Chinese text, the “I Ching,” or “Book of Changes,” appeared in bookstores. This new version of the centuries-old text for divining one’s future appeared courtesy of a professor who grew up in Seattle and learned about Asian cultures from her early teachers. Her name is Dr.
Margaret Pearson, and she’s currently teaching at Skidmore College in upstate New York. A native of Seattle’s Wedgewood neighborhood and daughter of a high school teacher, Dr. Pearson attended Bryant Elementary School, Nathan Eckstein Junior High, and Roosevelt High School. Her experiences in Seattle, including her exposure to Seattle-based Shiga’s Imports, shaped the person she grew into. “Later, I came to enjoy Shiga’s shop, and occasional chats with Mr. Shiga himself. Her honors group at Eckstein, led by Ms. Lee Ewalt, encouraged her multicultural leanings. “I remember giving a book report on the Ramayana. This was my first exposure to Chinese history and culture,” she said. At Roosevelt High School, she studied under Miss Jean Musser, who introduced her to Chinese poetry and philosophy, as well as “The Republic” by Plato. She also studied at Taiwan National University in Taipei from 1973 to 1975. Her time abroad helped develop her understanding of gender. “I am so glad I had the opportunity to be a stranger in a strange land for nearly two years. I learned, for example, that I was asking the wrong questions if I wanted to understand the status of women. I am not sure I ever found the right questions, much less adequate answers, but I did learn to listen to silences in conversations, as well as spoken words, as Taiwan was under martial law then. “I have clearly separated the core text (the Zhouyi and the xiang) from its commentaries,” she comments. “This is what readers expect of a translation, but it is relatively rare for this particular text. “I have also reflected the gender neutral nature of most Chinese pronouns by using a gender neutral English pronoun, instead of ‘he.’ We now know that women, as well as men, used the book, and current English usage no longer sees ‘he’ as the universal it once seemed to be. For more information on Dr. Pearson’s “I Ching,” consult her website at http://originaliching.org.